Remember when I placed the Banjo-Kazooie series as number ten on my favorite franchises list? Good times. The ultimate bear and bird combo get the Rank Up! treatment. What is Rank Up!, you ask? It's a feature where I take all of the games in a particular franchise and list them from least favorite to most favorite. Early in the wee hours of Central City we order the Banjo-Kazooie games in this fashion. Let's get to it, ladies and gents, but first, what games will we be ordering? 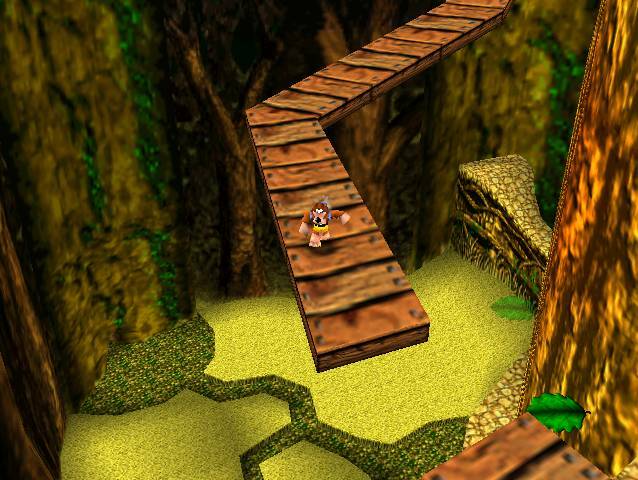 Banjo made his first appearance on Nintendo's 64-bit fun machine in the super superb Diddy Kong Racing. He was a heavy class racer who was great with high speeds but had poor acceleration. He soon ditched the life of Mario Andretti and his ilk and moved onto greener pastures and greater adventures. His first major game was Banjo-Kazooie, sharing the name of the game with his female avian partner, Kazooie. The pair worked together to rescue Banjo's beautiful sister, Tooty, from the grizzly grip of Gruntilda, an evil witch who wanted to take Tooty's beauty for herself. Suffice it to say, Banjo and Kazooie persevered and saved Tooty from a fiendish fate. Ol' Grunty just didn't get the hint, and she continued to bother the bear and bird in various sequels and spin-offs. Nonetheless, this series just shows how talented the fine folks at Rareware were. Originally planned as a sequel to Diddy Kong Racing only with airplanes exclusively, Rare's shares were bought by Microsoft after being sold off by Nintendo. Microsoft still allowed Rare to develop games for Nintendo's handhelds (It's Mr. Pants, Sabre Wulf, Viva Pinata: Pocket Paradise, Diddy Kong Racing DS) as they didn't have a dog in the portable fight. 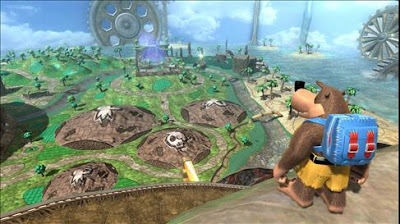 The game featured familiar locales to fly through and a pack of crazy characters including Banjo, Kazooie, Grunty, Klungo, Mumbo Jumbo, Jolly Roger, and Jinjo. 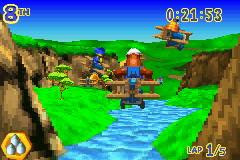 Banjo Pilot used Mode 7 graphics, and it was a technically impressive title for GBA standards. However, there are far better racers on the portable, and Banjo Pilot isn't one of them. When will the wicked witch of Spiral Mountain learn? Not any time soon apparently as she returned to get her revenge with this GBA isometric platformer. The goal of the game was the same as with the N64 adventures-- collect notes and Jiggies (jigsaw pieces that opened up more worlds) while learning new moves to add to Banjo's arsenal. Rare once again proved their prowess visually, and the game itself was an enjoyable albeit relatively short romp. I remember the final fight against Gruntilda being particularly challenging. Nonetheless, in the history of the Banjo-Kazooie franchise, Grunty's Revenge is a mere footnote in the series' short existence. Perhaps the wrong system to sell a colorful and carefree game on, Banjo-Kazooie returned after a long absence, but in a different genre altogether. 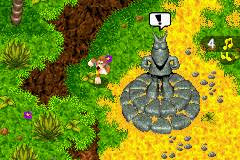 There were some platforming elements to be found, but they were mostly relegated to Showdown Town, the game's hub area. Players custom built vehicles whether they be planes, carts, or hovercrafts to complete challenges strewn across the game's handful of worlds. The true entertainment came from the majority of means to complete tasks. Many fans were put off that Nuts & Bolts wasn't a true platformer or didn't appreciate the bold, new art style, but those that did received another stellar entry in the Banjo-Kazooie franchise. And who could resist hearing their favorite themes in all of their orchestrated glory? 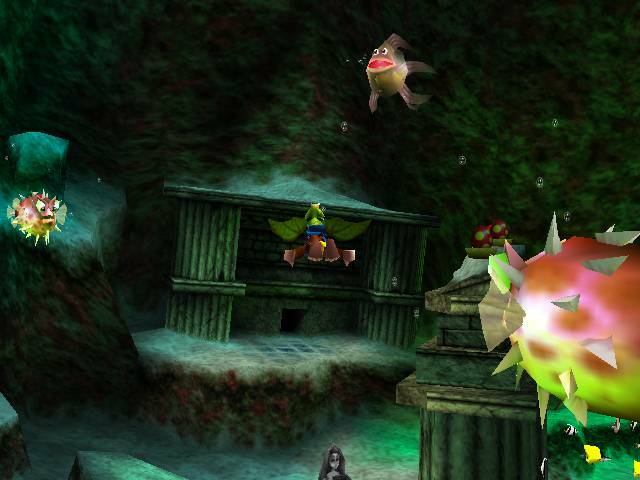 Unlike its predecessor, Banjo-Tooie was all about bigger worlds. 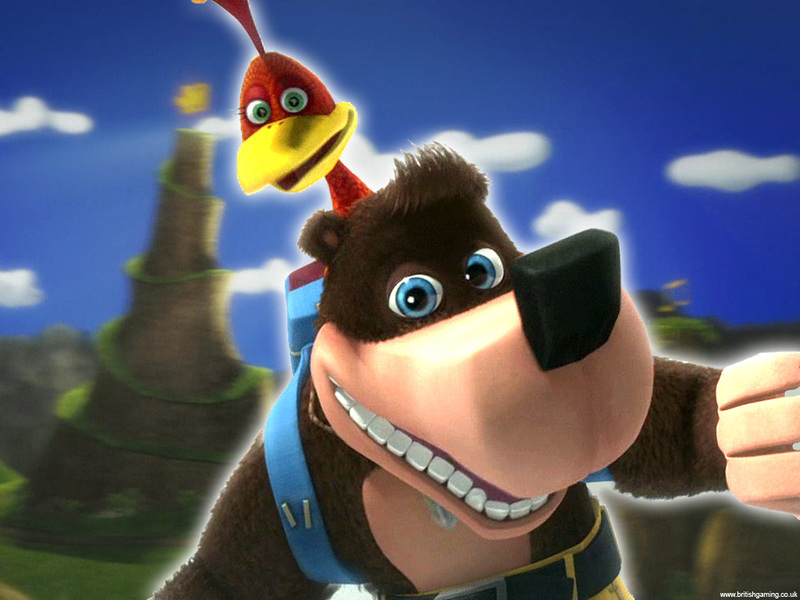 Banjo and Kazooie could be separate from one another by stepping on and activating a special pad. They could learn moves apart from each other, too. Even Mumbo Jumbo joined in as a playable character, using his magic to manipulate the environment to assist the bear and bird on their quest to seek comeuppance on the then bony hag that was Gruntilda who killed Bottles the mole. Humba Wumba could transform the pair into a myriad of creatures including a rampaging tyrannosaurus rex, a detonator, a bee, a snowball, and even a washing machine! The reason this game is number two on this list despite having larger worlds to traverse is because the focus shifted more towards exploration and less on actual platforming. Regardless, Banjo-Tooie is a remarkable sequel even if Canary Mary is a cheating piece of cuckoo crap. The original Banjo-Kazooie is not only the best in the series, but it is the best platformer on the Nintendo 64. Yes, it even beats out the spectacular Super Mario 64. Everything about the game screamed charm. The worlds were filled with more things to do, notes to collect, and Jiggies to nab (ten in each area as opposed to just seven in Super Mario 64). The golden jigsaw pieces were used to fill in incomplete pictures. Once completed, these pictures opened the way to new worlds to explore. From marching around Mumbo's Mountain as an ant to diving down in the the deep, dark, dank depths of Clanker's Cavern to chilling out in Freezeey Peak to getting your inner ghoul on in Mad Monster Mansion, the worlds were interesting and infinitely rewarding to rummage around in. And the final battle with Gruntilda (only after winning her Grunty's Furnace Fun game show challenge, of course) was anything but boring. Banjo-Kazooie is still to this day the epitome of an entertaining and engaging 3D platformer. As we wrap up and reflect upon Rank Up! for this go around, what would your ranking of the series be? Would the original Banjo-Kazooie place number one on your own personal list? And what franchise should be the next subject for ranking up? Let any and all answers be posted in the comments section. They are always appreciated, truly.